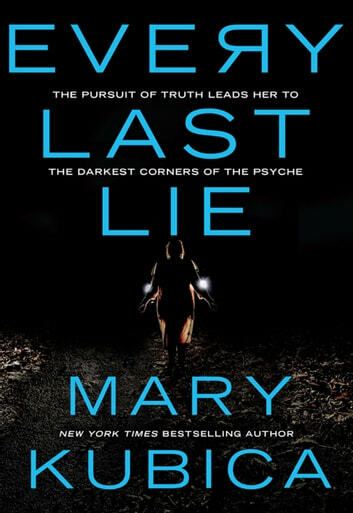 New York Times bestselling author of The Good Girl and Pretty Baby, Mary Kubica is back with another exhilarating thriller as a widow's pursuit of the truth leads her to the darkest corners of the psyche. Clara Solberg's world shatters when her husband and their four–year–old daughter are in a car crash, killing Nick while Maisie is remarkably unharmed. The crash is ruled an accident…until the coming days, when Maisie starts having night terrors that make Clara question what really happened on that fateful afternoon. Tormented by grief and her obsession that Nick's death was far more than just an accident, Clara is plunged into a desperate hunt for the truth. Who would have wanted Nick dead? And, more important, why? Clara will stop at nothing to find out – and the truth is only the beginning of this twisted tale of secrets and deceit. 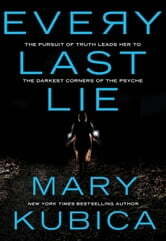 Told in the alternating perspectives of Clara's investigation and Nick's last months leading up to the crash, master of suspense Mary Kubica weaves her most chilling thriller to date – one that explores the dark recesses of a mind plagued by grief and shows that some secrets might be better left buried. I never write reviews but this book got under my skin. It is, hands down, my favourite book this year (and I read 1 or 2 books p/week). The story is intriguing and well written. Love, love, loved it! I liked the style used to write - more like a diary. Found it was a bit slow at times. Was hard to put down once started. Enjoyed the read. I gave it a three as it would not be a favourite for me.